What Is It Like To Be A Survivor Of Abuse? 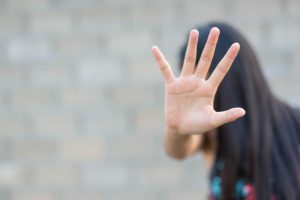 Abuse – be it physical, sexual or emotional – can leave you feeling distressed, frightened and helpless long after any threat or danger has passed. You may be left with disturbing or confusing memories, and struggle to feel safe in situations that other people seem to find easy or normal. This can make you feel painfully different from others, like an outsider, and can be accompanied by powerful feelings of shame and guilt, even though what happened to you was completely out of your control and not your fault. If you’ve experienced abuse, especially when someone you loved or trusted was responsible, you may struggle to form new relationships, leaving you feeling lonely and isolated. The anger or hurt that you feel towards the person or people who abused you may feel unresolvable. Abuse can leave you with very low self-esteem. 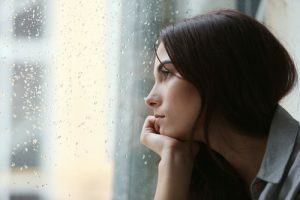 It can be linked to feelings of anxiety and depression, as well as emotional eating, binge-drinking, and substance abuse as a way of blocking out distressing memories or thoughts. Our Consultant Psychiatrist can prescribe medication to alleviate symptoms of depression, anxiety and distress. We offer eye movement desensitization reprocessing (EMDR) therapy that can further resolve and alleviate any devastating memories that interfere with your daily living, and help you feel more in control of your life. 4 Types Of Abuse | Problems You May Be Experiencing? Challenge your critical inner voice by practising positive affirmations daily. They can help you replace self-sabotaging thoughts with loving ones that remind yourself that you’re beautiful and worthy. Participate in physical activities that you enjoy doing, such as running, kickboxing or swimming. Exercise can help heal your mind, and make you feel stronger and more positive about yourself. Mindful breathing exercises and meditation can help you manage flashbacks and ruminating thoughts. Take part in expressive art therapy, such as writing, painting, drawing, or making music. This can help you release tension you may be carrying, and relax your mind and body. Choose people and environments that surround you with positive energy. Spend time with friends and family who love you, and make you feel good. Go for a walk, spend time with pets, or go on a short holiday to feel re-energised. Take care of yourself by keeping your body healthy. Eat a balanced diet and get enough sleep. Good physical health will help you feel stronger and more emotionally resilient to deal with the emotional ups and downs, and the distressing memories, of abuse.